This month’s Garden Flowers post, which I write with Rona Wheeldon of Flowerona features the top three new plants at this year’s RHS Chelsea Flower Show. 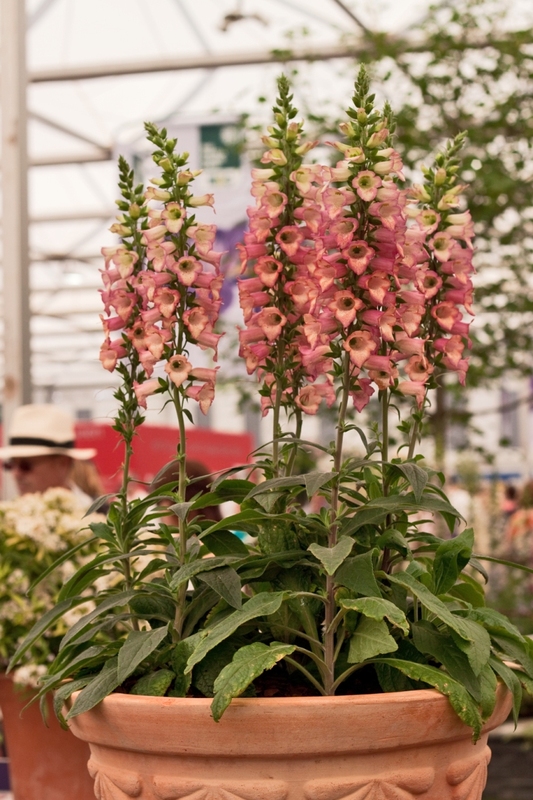 Amongst the awards that are presented at the show, the Plant of the Year is one of the least well-known and it’s designed to celebrate the new plants that are launched at Chelsea. Each of the twenty short-listed entries is presented to a panel of over one hundred RHS plant experts on the Monday before the show opens. They then select a single new introduction as the RHS Chelsea Flower Show Plant of the Year which takes into account innovation, excellence, impact and appeal. 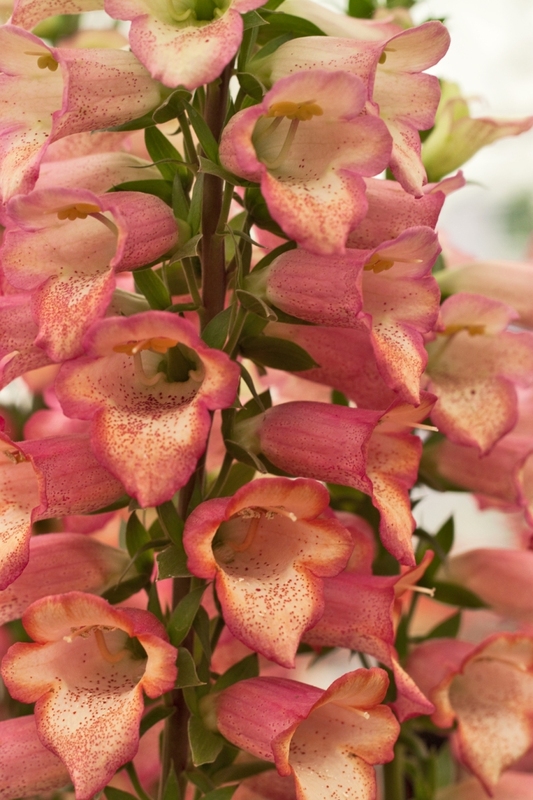 This year the winner of this prestigious award was Thompson & Morgan for their tropical-looking perennial foxglove Digitalis ‘Illumination Pink’, a cross between Digitalis canariensis and Digitalis purpurea. 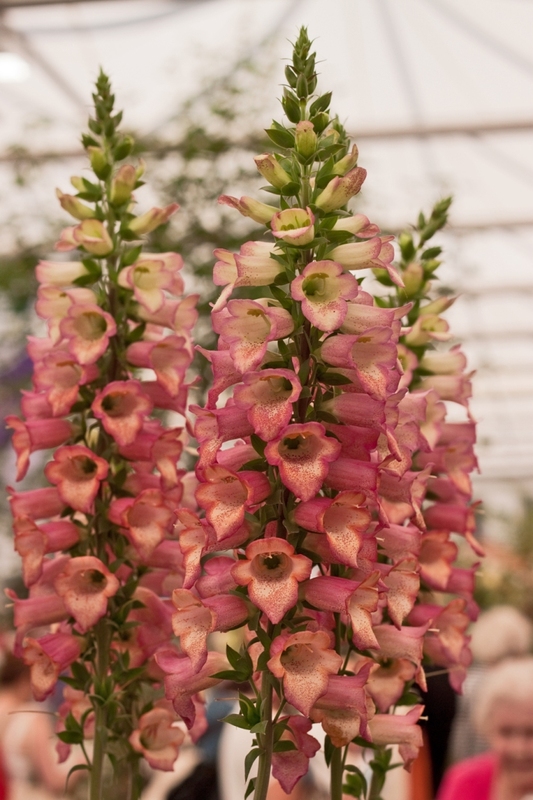 Its multi-branching spikes display flowers from June to November…an amazingly long flowering period for the foxglove family which normally only flower for a couple of weeks in the summer. This peachy-pink flowering plant is a great addition to your garden if you would like to attract bees. They can be bought directly from the Thompson & Morgan website. A new carnation called Dianthus ‘Memories’ took second place and was developed and introduced by Whetman Pinks. It has striking white, strongly perfumed flowers and grey foliage. 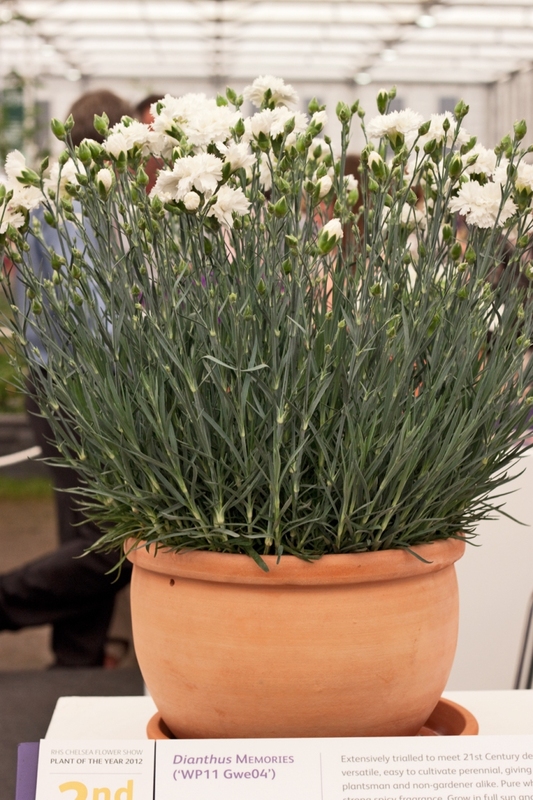 Dianthus can be grown easily in neutral to alkaline well-drained soil in full sun. They have a long flowering period and make brilliant cut flowers too. This new variety can be brought directly from Whetman Pinks or from one of the stockists listed on their website. Third prize was awarded to JS Pennings De Bilt for their gorgeous double-flowered dark blue hyacinth, Hyacinthus orientalis ‘Royal Navy’ which amazingly they have been working to develop for the past twenty-five years. 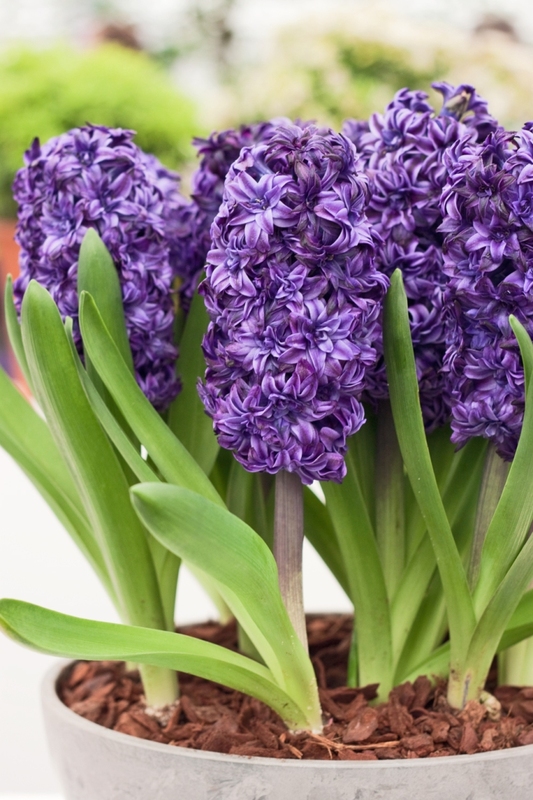 Hyacinths look wonderful planted in pots or in a sheltered spot in the ground to add some much needed spring colour and scent to the garden. They can also be planted up and grown indoors. They also look fabulous on a kitchen windowsill, where the scent can really be appreciated. Isn’t it a coincidence that in the Queen’s Diamond Jubilee year that the winning plants almost reflects the colours of the Union Jack flag?